It’s no secret that Amazon Prime is designed to help you save money on shipping. We’ve all been there. You have the two items you need in your shopping cart only to realize that you’ve also added a shipping charge. Your choices used to be buy something extra or pay the cost. With a Prime Membership, though, that extra cost vanishes. In its place is free and lightning fast shipping. While Prime is most known as a way to save big on shipping, the perks of Amazon Prime will help you save on so much more. Before we explore the other perks of Prime, it’s important to make sure you really understand all the shipping benefits that come with your Prime Membership. Why? Because it can save you time and money, and that’s kind of what we do here. There are several different shipping perks when it comes to Amazon Prime. The most well-known aspect of Prime is its two-day shipping that comes free with your membership. That means that there are thousands upon thousands of items that will be on your doorstep in two days. But there are other shipping benefits too. If you are a regular Amazon shopper, these No-Rush Shipping Rewards can add up. When you are making a Prime purchase, you will often see the No-Rush option at checkout. In exchange for waiting some extra time for your order, Amazon will toss some bonus your way. You will either receive an immediate discount or a reward that you can apply toward a future purchase. It’s worth noting that the rewards have to be applied to type of item specified, and you will lose your no-rush shipping rewards if you cancel your order or adjust the shipping speed. Prime customers in the United States can take advantage of Release-Date Delivery. When you pre-order certain items (your favorite author’s upcoming book for instance), you will have your item delivered to your doorstep on the exact date of the the release. As with Same-Day Delivery, your zip code determines your eligibility. Prime Now is another shipping perk that Amazon customers in the United States can enjoy. While both products and location limit eligibility, Prime Now can get an item delivered to your door in two hours. If the speed isn’t impressive enough, the fact that it’s also free certainly is. While Amazon Prime has definitely changed the way that customers have products shipped to them, Prime is also changing the way people shop. In addition to giving customers access to hundreds of thousands of projects in dozens of categories, there are other shopping perks that are exclusive to Amazon Prime memberships. There’s no doubt about it: shopping online is faster than going to the store. If you haven’t decided to shop online for clothes yet, though, Amazon Prime has a perk that might change your mind. Prime Wardrobe is an exclusive feature that allows shoppers to try items before they buy them. You can select from men’s, women’s, kids’, and baby clothing. You can also choose from shoes and accessories. As a part of Prime Wardrobe, you will be able to try-on the items with no risk or no hassle. You can simply return any items you don’t want within seven days for a full refund. Click here to discover more about how Prime Wardrobe equals fast shipping, convenient shopping, and easy returns for all of your wardrobe needs and wants. As a Prime Member, you can pay an addition membership fee to receive free shipping on all of your Amazon. Fresh orders of $50 or more. You can also opt for a flat delivery fee for orders that ring up under $50. Similar to other Prime benefits, this perk does depend on your location. Get your groceries in a fast and convenient way for a very small fee. Prime members who live in certain areas can shop using Prime Pantry. The best part about this option? The items you pick come in everyday sizes. That means the amount of cereal you order is perfect for your small family; no need to feed an entire army with a single order or eat cereal for every meal to try to use it all before it gets stale. Prime Pantry allows you to choose household goods and pantry items in sizes that are easy to store and will stay fresh the entire time you’re using them. Prime Pantry is not available to United States Prime members who live in Puerto Rico, Hawaii, or Alaska. There’s a good chance that you’ve stumbled across information about using credit cards to your advantage. While credit cards may not be the best choice for everyone, if you can use them strategically, they can be a great financial tool. Amazon Prime members have the ability to apply for the Amazon Prime Store Card. This credit card gives you access to special financing offers. More importantly, though, it gives you 5% cash back on Amazon.com purchases. If you make $1,000 in purchases per year (or month…who are we to judge?! ), that’s an extra $50 for no additional work. While the Amazon Prime Store Card functions like a department store credit card in that it is usable only at the store that issues it. In this case, you can only use it on Amazon. Amazon Prime members have another options as well. The Amazon Prime Rewards Visa Signature Card is a credit card that offers the same 5% cash back bonus on Amazon.com products, but you can also use the card at any merchant that accepts Visa cards. You will earn 1% or 2% cash back on other purchases and can find out more about some of the other perks of the card by clicking here. A rose by any other name might smell the same, but labels cost money. In the case of Amazon Elements, these are high-quality products without the costly brand name. 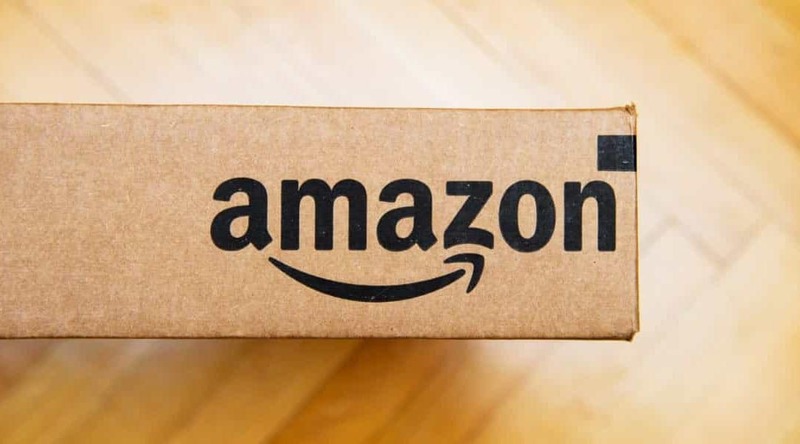 Amazon created this line of everyday essentials for Prime members to help you save on everything from multivitamins to baby wipes. Babies are expensive. There’s no denying that. But Amazon Prime members can save big on baby items as part of Amazon Family. Select baby food items and diapers are up to 20% off. Though this doesn’t include formula, the savings still add up. If you are looking to layer on even more savings, you can also earn a Baby Shower Registry Completion Discount to save 15% on eligible items. What Else Can I Save on with Prime? It’s true that Prime is widely known for shipping and shopping benefits. But there is so much more to Prime than most members realize. In addition to helping you restock your home and shop for gifts in a way that saves you time and money, Amazon Prime is about to become your go-to pick when it comes to entertainment. Whether you’re looking to stream or wanting to dig into a digital release of a new book, Prime has just the thing for you. For free. Yes, really. So many families are cutting the cord and ditching cable. But that doesn’t mean people have decided to opt out of today’s popular TV shows and movies. Instead, families everywhere are streaming entertainment digitally. If you have an Amazon Prime membership, you already have so many entertainment choices included, with the option to add on additional entertainment packages as well. Prime members in the United States and Canada can use Prime Video to access movies and TV shows. While some TV episodes or movies may require purchase, there is an overwhelming (in a good way!) amount of options free just for being a member. Much buzzed-about Prime Originals like Jack Ryan, The Marvelous Mrs. Maisel, and The Man in the High Castle are only available on Prime Video. One of the hardest parts of breaking up with cable is feeling like you have to have so many different subscriptions to get access to your favorite TV shows and movies. Amazon Prime can help simplify that. In addition to the Prime Video options that come free with your membership, you can purchase add-on channels like SHOWTIME and STARZ. You pay per month and are free to cancel at any time. Prime members in the US and Puerto Rico have millions of songs at their fingertips. You can browse channels, albums, playlists, and over two million songs. The best part? They’re all ad free. No more waiting and waiting to get to your favorite song. You can also download the Amazon Prime Music app on your smartphone to get songs to go. If Prime Music isn’t enough, Prime members also have the option of Amazon Music Unlimited. Whether you are looking to listen offline or listen to a single song as many times as you want, Amazon Music Unlimited is an ad-free music lover’s dream. With a Prime membership, you can snag discounts on monthly plans or you have an exclusive option for an annual plan. If you are already a Twitch.tv user, you definitely want to take advantage of Twitch Prime. In addition to scoring exclusive promos for pre-order games, you can link your Twitch.tv to your Prime account. This opens up a free Twitch channel subscription each month. You can also find free games and in-game loot each month. There are tons of movie and television options that come with Prime. No worries, bookworms, Amazon has you covered as well. In addition to have an incredible selection of hardcover and paperback books for purchase, your Prime membership comes with several book perks you may not be aware of. The Prime Reading app gives you the option of reading on your Kindle, Fire tablet, or even your laptop. One of the most exciting parts of the app is the fact that you can use your Prime membership to borrow books and magazines. Amazon First Reads is a program that gives members exclusive access to new books each month. Each month, Amazon releases its First Reads picks. As a Prime member, you can select a book to download for free, and you even have early access to the list of choices. If audiobooks are more your style, you’re in luck. Amazon and Audible have created original content–audio series and playlists–that can’t be found anywhere else. As a Prime member, you have access to unlimited listening. Are There Any Other Prime Benefits? Your Prime membership has you covered when it comes to shipping, shopping, and enjoying your favorite entertainment. That’s an unbelievable amount of benefits and cost savings. There are two other ways to maximize your Prime membership that are worth knowing. Amazon allows you to set up a Household account in order to share benefits with another adult living in your same household. You can also extend your personal Prime membership to your business to help you save on shipping. No extra shipping charges for office supplies? Yes, please! With today’s cell phone technology, it has never been easier to snap dozens of high-quality photos in an instant. So where do you put them all? There are paid storage solutions, but Amazon Photos offers unlimited photo storage for Prime members. You can set up a Family Vault and add members to it, allowing each of you to store your priceless memories in a safe and organized place. If you are looking save money and time, look hard at your Amazon Prime membership. You are likely well versed at least some of the free-shipping options. But there are dozens of other benefits–from discounts on diapers to storing digital family photos for free–that come with your account. Familiarizing yourself with all of the benefits can help you get more bang for your membership buck.